Fans know that sometimes Barney is "just waiting for you to go too far." When it comes to Thelma Lou, he will fight for what's his. 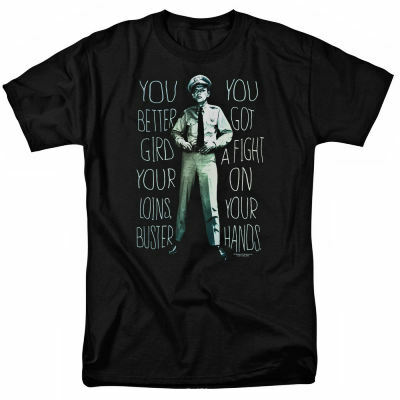 Gird your loins and join the fight with this great t-shirt. Our favorite Deputy will give you the courage to protect those you love.